Ships tomorrow if you order in the next 19 hours 8 minutes. 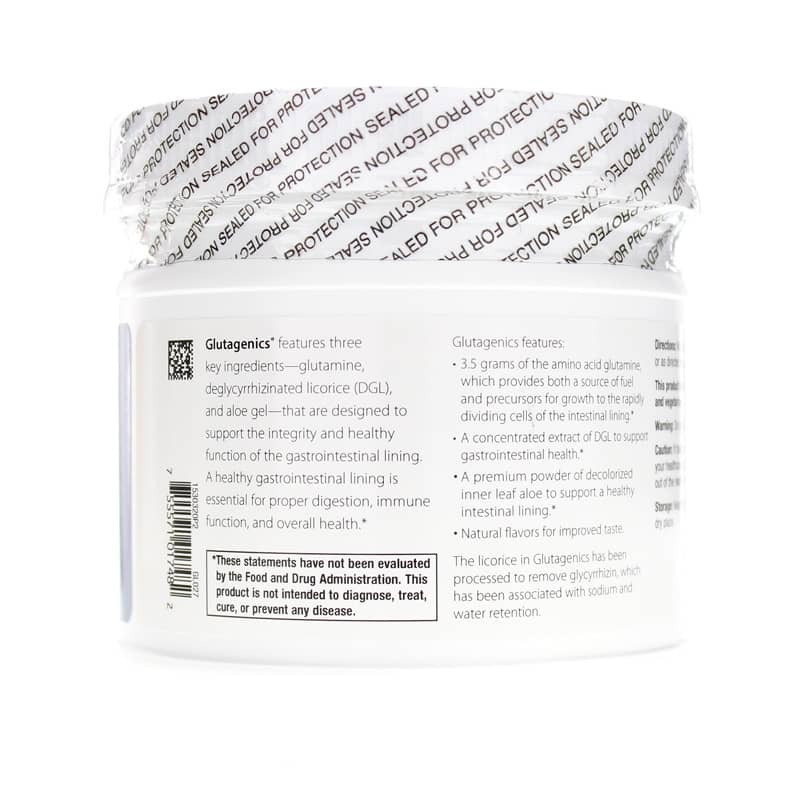 Glutagenics is a drink mix containing a trio of ingredients intended to support the lining of your gastrointestinal tract. Metagenics combined these three ingredients because a healthy lining in your GI tract is essential to more than just proper digestion. 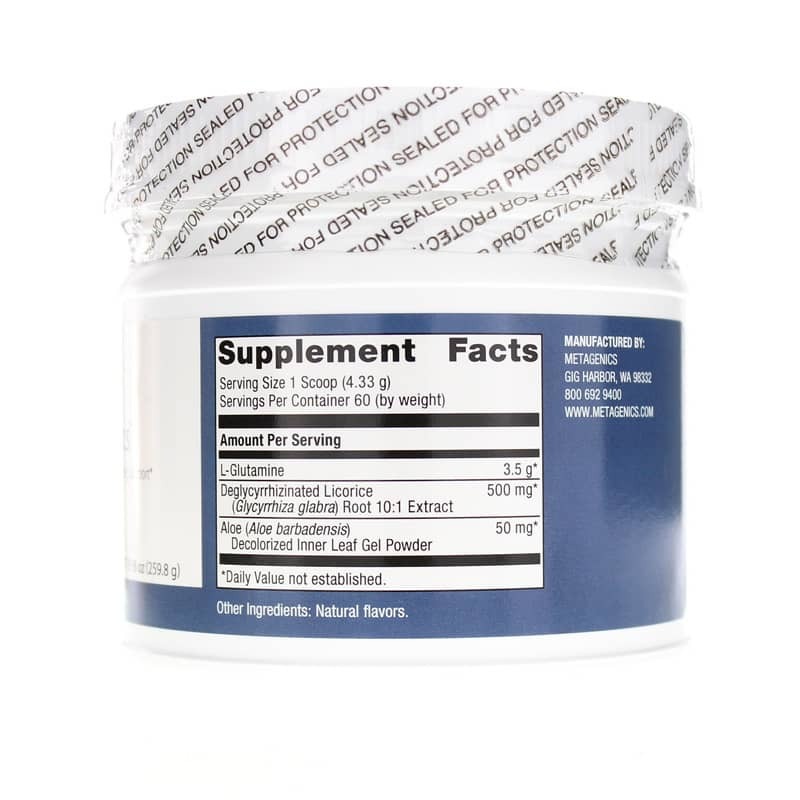 It can also mean healthier liver function and immune function. 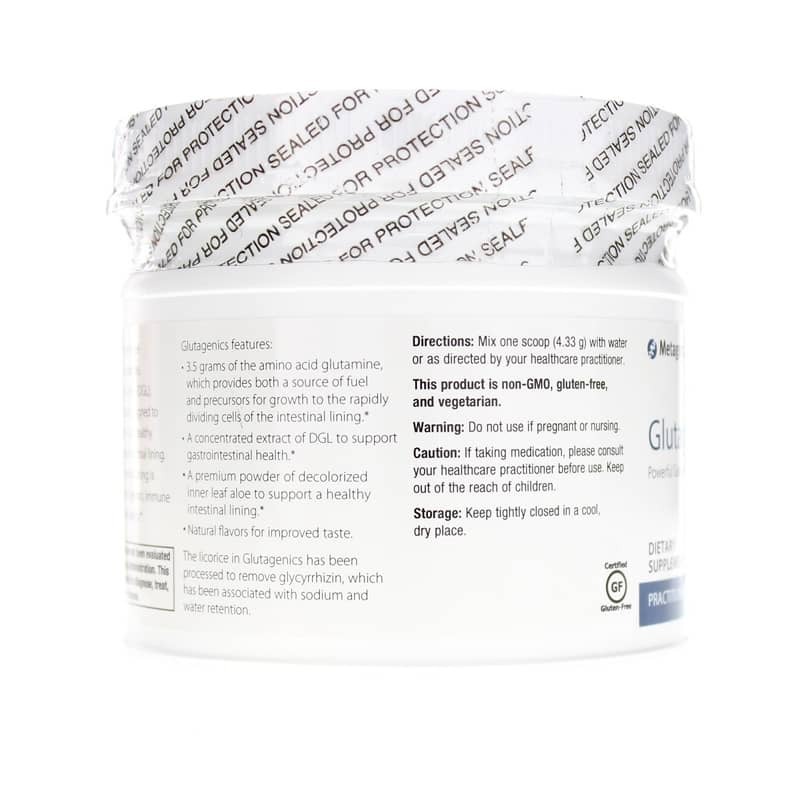 Glutamine is the most plentiful amino acid in your body, and it plays a role in various metabolic processes. That includes acting as fuel for rapidly dividing cells in the intestinal lining and immune system. The licorice (DGL) is processed to remove glycyrrhizin, which can cause water and sodium retention. The aloe vera is processed to remove bitter principles as those components could cause an unwanted laxative effect. Healthy digestion means better overall health. 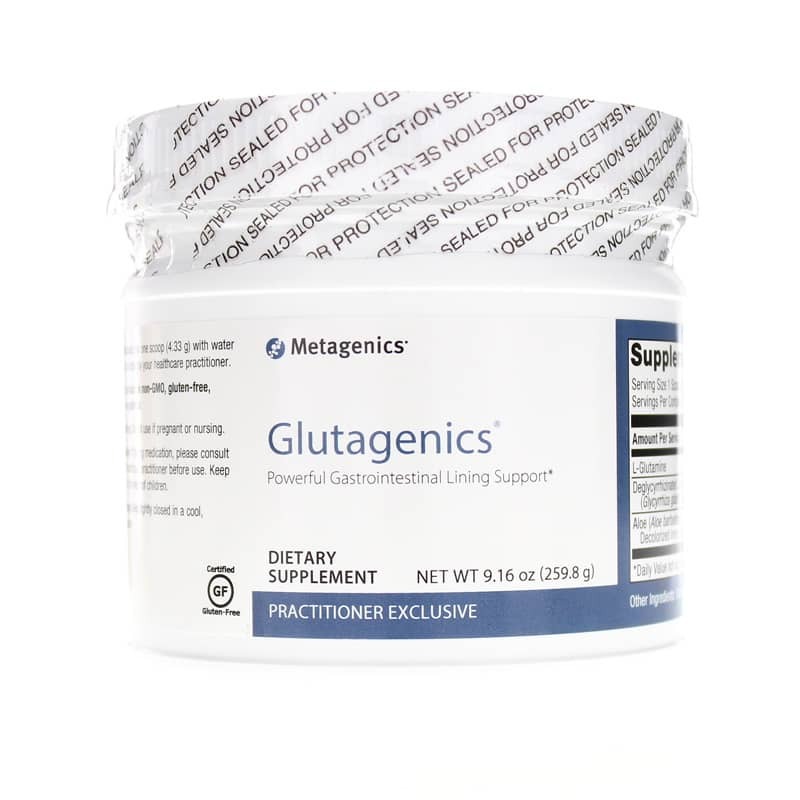 So try Glutagenics from Metagenics today. Adults: Mix one scoop with water or as recommended by a healthcare professional. One of my health care providers recommended this. Some improvement, I can't say it was this supplement. I am still continuing to try it, as the health care professional said it could take some time. I am so glad my Holistic Doc put me on this product. Very pleasant vanilla bean taste.